The veterans Gail Chatfield interviewed spoke for themselves in their own words in this wonderful, compelling and personal history of war. I loved the book. I learned about the 'Iwo Jima experience' in a way I could never have imagined before reading it. I learned about being a Marine from old-timers. Ms. Chatfield provides a glossary of terms at the end of the book that educates about the terms and equipment used in WW2 by the soldiers of that era. The soldiers interviewed included a spectrum of veterans from combatants to all kinds of support personal, with a spattering of non-Marines, although the latter were at the minimum. Ms. Chatfield's father was a veteran of this island battle, but she, like most of us, never learned enough from her parent. She later sought to tell his story by telling the stories of others. She has done it well. Technology changes with every war, but the universal human experience of combat remains the same. Marines and soldiers from the battlefields of Valley Forge to the streets of Fallujah understand patriotism, fear, death, loneliness, and the humor that helps them through the rough times. By Dammit, We're Marines! is a collection of eye witness accounts by 52 veterans who served on the Pacific Front during World War II. When ordered to secure another Japanese-held island, these Marines grabbed their M-1 rifles, climbed down rope ladders into the waiting landing craft, and hit the beaches. They faced not only an embedded, well-equipped enemy, but also flesh shredding coral reefs, malarial and dengue fever-ridden jungles, mosquito and crocodile-infested swamps, and a noxious moonscape sulfur island. The author's father was one of those Marines who fought on Bougainville, Guam, and Iwo Jima. He died when she was 15 and never shared his wartime stories. Wanting to learn more, Chatfield sought out veterans of those conflicts. Their stories offer a literary archeological dig of sorts into 1940's culture and technology. Body armor was a canvas shirt with a metal covered copy of the Bible in the breast pocket. Camouflage clothing was do-it-yourself burlap suits stippled with Max Factor women's make-up. Cutting edge medicine was sulfa tablets to treat infection and blood plasma shipped in glass bottles to field hospitals. Canvas hammocks stacked 8-10 high served as bunks aboard overcrowded ships. They used salt water soap for salt water baths and were issued OPA tickets, V-mail, C-rations, K-rations, and helmets that served as sinks and saucepans. Creating the safest foxhole took some ingenuity and a few discarded tank parts. Most of the veterans interviewed in this book are Marines, but war is a collaborative effort. Marines were transported by the Navy, relieved by the Army, and most of the time their job was to secure airfields for the Army Air Corps. No story of the Marines would be complete without hearing from those branches of service. Chaplains, corpsmen, sailors, soldiers, and B-29 bomb crews share their stories of serving with the Marines. These veterans offer their stores as a part of our historical record with the hope that battles like Saipan, Bougainville, and Iwo Jima will never happen again. A wealth of knowledge for America's favorite reading room. I don't know who Uncle John is, but he certainly pulled together some great writers and some wonderful pieces of military facts, fiction, and lore when he put this book together. Completely enjoyable from beginning to end, you will learn something in every sitting. Every service is mentioned repeatedly, and actions from the amazingly heroic to the ridiculously stupid are given equal time. Everything is simply written, easily formatted, and continuously refreshing and entertaining. From the somber (Arlington) to the comedic (Beetle Bailey, Bob Hope), every aspect of military life is covered, and in such a way that the reader is both educated and entertained. I especially liked the way the authors divide up large topics into easily manageable chapters appearing in different places in the book. That keeps the reader from getting too much of any one topic at one time, and keeps things moving. I also really enjoyed the little factoids at the bottom of each page, completely unrelated to the story. These were always short but very interesting; an added bonus on each page. 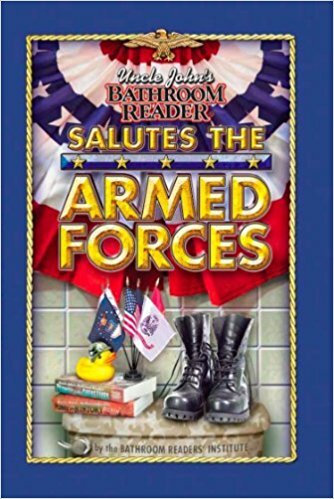 Full of facts and fun, this is a must for any military member's bathroom, and will be heartily enjoyed by anyone who either served or just has a passing interest in the military. A valuable resource for our military families! Hundreds of thousands of US military members have been continuously deployed overseas for the past several years. A large number of them are serving, or will soon serve on their third, fourth, or even fifth deployment to Iraq or Afghanistan. As a result, many experts fear that our armed forces are being stretched to the breaking point. Due to this vastly increased level of overseas operations, our military families are increasingly being left to fend for themselves while their loved ones spend long periods of time away from home. While the military does a great job of getting its soldiers, airmen, and Marines ready to do their jobs while deployed; they do a less thorough job of preparing the family members they leave behind. It has become clear that the children of our deployed military members are paying an especially heavy price for this fact. Department of Defense statistics indicate that mental health visits by the children of military members has nearly doubled since the first Iraq War. Sara Jensen-Fritz, Paula Jones-Johnson, Thea L. Zitzow--co-authors of "You and Your Military Hero"--have come up with an extremely valuable resource for those facing the absence of deployed loved ones. The book provides a series of games, calendars, cutouts, discussion topics, and exercises designed to encourage awareness, understanding, and to develop coping mechanisms. By following the book's activities and suggestions, the children of our "military heroes" will learn to come to grips with their feelings and develop ways to handle the stress of family separation. Although the book is geared largely for children and is narrated by Flipp--a friendly dog, who makes this a fun and entertaining experience--"You and Your Military Hero" is not solely for the kids. Adult family members will also be able to strengthen their coping skills. The breathing and meditation techniques outlined--to give just one example--would certainly benefit readers of all ages. You and Your Military Hero helps children learn positive coping skills during a loved one's deployment and empowers children and military families to maintain positive outlooks during this challenging time. Through positive, solution focused, and instructive activities, this activity journal makes building positive skills fun and effective. Family members as well as professionals who work with military children, will find this an invaluable resource. A vividly illustrated rhyming book about a girl who keeps a journal during the year her Dad is overseas on a tour of duty in the military. Of course, only a few of the 365 days apart can be revealed, such as birthday parties, horseback rides, trips to the zoo and the like, however, it's a lightly told tale with a profound message: keeping your memories so you can share them when your loved-one gets home. While the subject and impact of an examined life is a tad heavy for kids, it's not for the adults who care for them. When this Mom gives her daughter a spiral notebook and a box of colored pens and tells her to write about what all she does while her Dad's away, she has set her child on the path to thinking about her life and her family. The genders could just as easily have been switched: a son with his Mom away on duty, and perhaps that will be this author's next book. A splendid idea and well done! With the help of her Mom, one child gifts her Dad with a glimpse into the year he's missed. Mary M. Sullivan has written a charming and thought-provoking children's book which was inspired by her daughter. She felt that what she learned from Autumn, could help other children that are in a single-parent situation, no matter how they got to that point. Mary shares the thoughts of a little girl trying to figure out what her daddy would look and act like. Mary Sullivan states, "This book, read along with a parent or guardian, can and will teach and help a young person describe their daddy and open up dialogue with certainty and truth." As a teacher of young children, I believe that this book could be beneficial to many children who have a "missing someone" in their life. It might not just be a parent, but could be another relative, such as a grandparent, aunt, or uncle. The basic premise is that children really need to "put a face" to the unknown person, and guardians should be aware that this book could be used to help have the conversation revolving a child's thoughts. It may also be beneficial to other children to help explain what some of their friends may be experiencing by not having a two-parent family situation. The book is in a large format and the artwork adds a lot to the storyline. In the back of the book is a page for children to draw a picture of their daddy. It is a "simple" book with a very thought-provoking message. Written with a child in mind, the adult in the child's life should be involved in the reading of this book. It is a valuable resource for the single-parent moms out there in our world. This is a book inspired by my daughter Autumn, whom I love deeply. I listened carefully to her musings and thought other children could benefit from her thoughts on her absence of a father and what it means to her. As for all single parents, no matter how they got to that point, one thing remains clear: Children often think quietly about a missing parent. This book heals this young lady. She has, despite not having a daddy, thoughts on how a daddy would act and be loving. At a tender age, she knows what attributes to look for in a man. This book, read along with a parent or guardian, can and will teach and help a young person describe their daddy and open up dialogue with certainty and truth. Vietnam vet John Christenson is fed up with the price of gasoline. He has invented an electric car that not only doesn't need to refuel, but generates more energy as it's driven. Obviously, this isn't something that pleases our enemies in the oil producing countries. John and FOX newswoman Leena Delaney drive the car, known as a "Take-Us," from New York City to San Francisco to show that the vehicle can do what Christenson claims. Terrorist cells, hidden in plain sight for years, are sent to stop the Take-Us and its inventor from achieving their destinies. This book is one of those little gems that pop up from time to time. It's clever and entertaining and thought-provoking. It's based on that time-honored writer's device -- "What if?" What if there was a car that didn't need to be refueled -- ever? What if it was so efficient that you could use it to provide electricity for your home? What if it was available to everyone -- around the world? What if there was a man so honorable and inventive that he could find a way to make all of that possible? How would that change us? Would we relate to each other differently if we weren't forced to compete for scarce resources? The author never really explains the details of how the Take-Us works -- but he gives enough hints to make the device seem plausible. He surrounds the protagonist with oodles of Americana goodness and evil but inept bad guys of the radical middle-eastern variety -- that's what makes this romp read like a geeky-batman adventure. You just KNOW that things are going to turn out okay and you get a kick out of how the hero gets himself into and out of trouble along the way. In the end, like a great Hitchcock flick, all the pieces come together like a jig-saw puzzle of the good old U.S of A. After all of that fun stuff, it's important to point out that this book has a provocative philosophical underpinning. On the one hand, Takacs explores the innate goodness of human beings -- working together to solve common problems, reaching out to each other for support and comfort. Christenson's name is no accident. The tale is a re-telling of an older truth -- talent brings with it responsibility, ability requires action on behalf of those without it. One must love in order to know how to love. On the other hand, the author replays the old battle between good and evil -- which of course, depends on the most primeval issues of all. This is a book that just about anyone would enjoy. It's filled with enough BAM/POW/THWOP action to appeal to the teenage boy lingering in our souls. It would take all the Scrabble pieces to name the government agencies involved. There are spies and lies and secrets galore. There's danger lurking and love not quite made. It's got a moral perspective that is intriguing enough for a Sunday School sermon -- and for us nerds, there's enough technical machinations to channel our inner Ben Franklin. Vietnam Veteran John Christenson modifies an automobile so that it can run without gasoline, instead it generates its own motive power as it travels down the highway. His invention could quickly and profoundly change the worlds power structure by ending America's enslavement to oil. Christenson's plan developed with the help of a beautiful female TV reporter, (who complicates things by falling in love with him) is to drive the car from New York City to San Francisco without using any gas and broadcast the road trip live on national television. The plan is simple but difficult to finish in a world where the value of life is computed by the cost of a barrel of oil. With danger threating from all sides, including the ghosts buried deep within, they must fight every mile to survive. Mike Angley used his experience as a Special Agent with the Air Force Office of Special Investigations (OSI) to create a suspenseful page-turner in Child Finder. Being a criminal investigator, as well as a counterintelligence and counterterrorism specialist, gave him plenty of opportunities to put together characters that keep us guessing as we read. The intriguing aspect, to me, is just how the paranormal adventures came to be part of the plot. What do you believe about people having psychic abilities that could help in investigations? In Child Finder, the main character, Major Patrick O'Donnell, is also an Air Force Special Agent who is assigned to the Pentagon. He discovers that he has a psychic gift that the government then wants to put to use, first to help find abducted children, but then they take it further, and Major O'Donnell discovers another side of the FBI, as he becomes part of a TOP SECRET black world. Be sure to carve out a chunk of time when you pick up Child Finder because you are not going to want to put the book down. The characters pull you into the story and the mystery keeps you guessing right up to the very end. We all have experiences in our lives but how many of us can turn them into a fantastic read? Mike Angley has done just that. I highly recommend this book to anyone that wants to see into the "intelligence world" and anyone that loves a great mystery thriller. The good news is... there are two more books to finish out the series and I can't wait to get my hands on them. Mike Angley is a terrific writer and you'll find Child Finder a very well-written mystery. Child Finder, the first novel in the Child Finder trilogy, introduces a protagonist as tough as 24's Jack Bauer, but with the endearing, family-values heart of 7th Heaven's Eric Camden "Special Agent Patrick S. O'Donnell" an early-thirties Air Force Major assigned to the Pentagon when the 9/11 terrorist attacks take place. His haunting dreams about murdered children reveal a hidden psychic gift which the government eagerly exploits, drawing him into a TOP SECRET program to find missing kids. But to make matters complicated, Uncle Sam has other ideas in mind for his unique paranormal talents... after all, there is a War on Terror underway. One thing's for sure--ever since joining this new, secret community, he is surrounded by murder, and the very real threat of harm to his own family! Iran's newest and most up-to-date nuclear power plant is sabotaged. Before a meltdown occurs the staff must find a way to save it, identify the saboteur and report to their supervisors. The plot thickens as the reader discovers spies, soldiers, and political maneuverings. This book takes its plot from current political and military tensions between Iran, Iraq, Israel and the US. The countries respond with overt and covert action. The incident is fictional, but all readers will be aware it could easily become reality. Lucero develops the plot and characters well. The story moves along without losing the reader's understanding or interest. Although it's harder to make a book technical and at the same time understandable to the lay reader, he accomplishes this. I know little about nuclear power, but the story never lost me. The same is true of the political climate in the book. Political intrigue is part of life. Most readers have some level of awareness of the tensions in the Middle East, the US involvement, and the tension that may at any time ignite into violence and war. The book assumes this awareness but doesn't assume intricate detailed knowledge of day-to-day unrest. The multi-faceted characters create an emotional response in the reader. Lucero understands human emotions and motives, and develops them in his characters. He leaves the reader pondering the moral responsibilities of nations and individuals. If you like political thrillers, you'll like this story. Lucero sustains the action and suspense throughout the story. Although both the genre and the world have changed since the days of the Cold War thrillers, the suspense in a good thriller is still the key. The countdown to nuclear disaster begins when the saboteur code name: SANDMAN strikes a devastating blow to Iran. He has infiltrated the Bushehr Nuclear Research Facility and created a fire that threatens a reactor core meltdown. All the Iranians have to do to save their reactor is to get the Emergency Core-Coolant System back online. But the situation turns from bad to worse when they learn the saboteur has barricaded himself in the alternate secondary control room that accesses the coolant. Now a high-ranking Iranian officer takes charge to battle the SANDMAN in what becomes a match of wits as each tries to outmaneuver the other in the dark corridors of the underground complex. While deadly gunfights between the SANDMAN and Iranian soldiers ensue the work crews desperately attempt to put out the fire in the electrical control room to regain access to the coolant. But with each passing second the temperature in the reactor core quickly rises...bringing them closer to nuclear disaster! HONOR DEFENDED picks up right where HONOR DUE, Brown's first award-winning book, left off. Barely settled in after avenging the death of his War Brother, Major Westfall is once again called upon for help when his neighbor's sister is missing. The Major, always ready to help a friend, rushes to her home to find it on fire, with her husband decapitated on the floor. He quickly finds out that this was no random act of violence, and that terrorists may literally be in his own backyard. What follows is a non-stop whirlwind of excitement as the Major dusts off his Special Forces skills, and along with some other operators, goes forth to pursue a type of justice that above the typical court system. D. H. Brown has a gift for story telling. His stories are written first person, enabling him to use his own experiences seamlessly through the action. This creates a character depth that most authors can't seem to find. Regardless of your feelings about warriors, war, or special operators in particular, you can't help but love the Major. His sometimes cold, been-there, done-that exterior parts every so often to show true emotion and humor that is the basis for the bond between warriors. Even more than his first book, I just couldn't wait to turn the page, and from page 3 on could not put this one down. I was honestly sorry when it ended! Exciting, gripping, and well-written, this one is a keeper for Vietnam vets, special forces operators, or those that love a good action narrative told in first person. Very highly recommended. Major Westfall is back, in another non-stop action adventure. On a freezing cold winter morning he is awakened before dawn by a frantic call from an old friend and War Brother. He is being called out to hunt for the killers who burned down a woman's house on the Strait of Juan de Fuca, abducted her, and left behind the beheaded body of her Marine Corps husband. On the beach behind the Holbech place, he finds signs that someone came ashore on the last high tide. Tracks lead to a pile of driftwood where Black Dog noses out the family's wounded dog. Putting his ear to the Hoko grapevine, he hears of a break-in at the local gravel quarry, where explosives and detonators were taken. A neighbor's grandchild mentions a missing school janitor, and the name her classmates gave him, Aladdin. When the Major takes a sneak and peek he unearths a terrorist sleeper. Calling in the troops, he prepares to do battle deep in the Olympic Peninsula wilderness where a cadre of evil souls have gathered, intent on creating havoc with the Washington State's ferries. 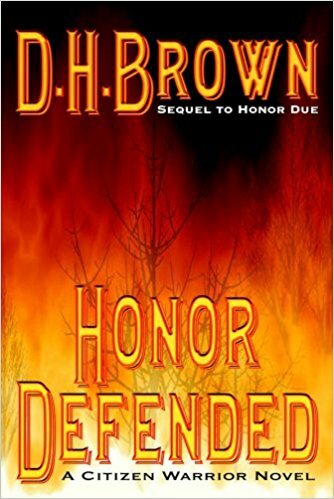 HONOR DEFENDED occurs over one 24 hour period of heart-pounding action in which old friends are met, new ones made, the young must grow up fast as lives are broken, and the honor of a War Brother is defended. WOW! What a memorable character and fascinating storyline. Margit Liesche's Hollywood Buzz is sure to create a buzz in the literary world. 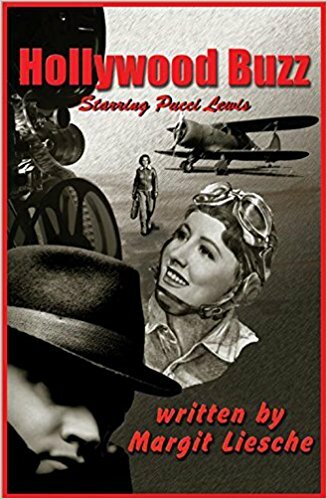 Within the first few pages, Liesche's lead character, Pucci Lewis, leaps from the pages and into the reader's mind as we accompany her on a brand new (slightly unorthodox) military assignment -- in Hollywood. What a unique concept! A brave, intelligent WASP (Women Airforce Service Pilot) assigned to duty in Tinseltown. It seems that Pucci's expertise as a WASP is needed to complete a documentary film attempting to showcase this elite group of women and their efforts in the war. The film is a combined effort of the government and Hollywood to create a movie aimed at inciting patriotism and support for the troops. When ensues is a beautifully written tale of intrigue, sabotage, conspiracy, blackmail, and the search for truth. Set against the backdrop of a major Hollywood production (complete with an introduction to some of the most influential motion picture stars of the day), it appears that someone will stop at nothing, including murder, to halt the production of the film. But who and why? Was Pucci's now comatose predecessor (Frankie) a victim of foul play? Was her plane crash a result of pilot error, faulty equipment, or was she targeted for elimination? The reader will find themselves enthralled as these questions (and more) are systematically answered by Ms. Liesche's engaging writing style. This read is truly an adrenaline rush -- an entrancing story which will appeal to history buffs, WWII enthusiasts, military lovers, and those still captivated by the golden age of Hollywood. I found the reading experience much like watching a classic movie. Ms. Liesche's attention to detail was very much appreciated, as was her obvious extensive research into all aspects of her storyline, character, and setting. I was particularly impressed with the author's masterful use of the first person point of view. I found it refreshing, unique, and flawlessly executed. The cover is magnificently depictive of the storyline, and is reminiscent of a 1940's Hollywood movie poster. Hollywood Buzz a classy tale about a classic era. Pucci Lewis was used to ferrying fighter planes and undercover work. But it's the dark hours of WWII, and Hollywood's biggest stars, studio moguls, and Washington bureaucrats are working hand-in-glove to merge entertainment and propaganda. Pucci has been dispatched to the First Motion Picture Unit, where a make-or-break documentary on the Women Airforce Service Pilots (WASPs) is underway. Pucci is stepping in for a sister-WASP, now hospitalized in critical condition after an all-too-deliberate plane crash. But who's the saboteur? Why the cover-up? Pucci is drawn into a high-profile homicide. A big-name director has been murdered, possibly by Nazi operatives. Military intelligence wants Pucci to learn what she can from her inside position. Bela Lugosi is a frequent visitor to the Beverly Hills mansion where Pucci is temporarily billeted. His "niece," a rising starlet and also the housekeeper, has a history with the Hungarian resistance. But Pucci doesn't trust the girl. Move over M. Night Shamalan, John Cathcart has arrived! Airline Captain and new widower John Carter casually mentions the name of an acquaintance at a bar in Grenada. This simple act throws him into the middle of an international plot filled with mad business men, beautiful and intelligent Latinas, governmental alphabet soup groups and bad guys of all persuasions. Like Cary Grant's character in Hitchcock's North by Northwest, everyone but John seems to know what's happening - but in the end, he must take the situation in hand and solve the puzzle that his life has become. DELTA 7 is a flashy new entrant into the crowded world of literary mystery and intrigue. Author John Cathcart's first chapter describing the attack on Libya by the USAF in 1986 is a breathtaking hook. The chapter ends with, "Captain John Carter was now a combat veteran." The parenthetical second chapter follows a young Columbian boy from the moment that he is kidnapped by revolutionaries through his introduction to battle and ending with, "Carlos Hernandez was now a combat veteran." With these first fourteen pages, the author establishes himself as a clever and intuitive novelist. Then he takes you on a wild ride through the complex and violent under-society of Columbia. The chapters are basic one or two scene presentations - a series of flipping perspectives, action sequences, and romantic interludes. This stylistic device gives the book a sense of movement and direction - like a spinning aircraft that generates excitement even though it's really controlled by the pilot. It also is an excellent technique for dropping clues that the reader picks up intuitively. When at last the tale unfolds and the good and bad are identified, the real surprise at the end is satisfying because the reader knew it all along but just didn't know she knew it. This book will appeal to those who enjoy Hitchcock movies, Ken Follett stories, cold beer, spicy food and hot women. For 20 years, John Carter served as a USAF fighter pilot and attaché. Everything appeared to be on track for a comfortable retirement. Without warning, however, his world is turned upside-down after a casual conversation during a layover in the Caribbean island of Grenada sets into motion a series of events that threaten to inalterably change-or perhaps even end-his life. Out of the blue, an old friend turns up to impart a bizarre and almost unbelievable story... and a warning. Within a matter of hours, Carter discovers that his military friends and comrades are disappearing. With the help of a beautiful and enigmatic woman from his past, Carter returns to Colombia in a frantic attempt to unravel the truth in a world ruled by violence, illicit drugs and money. Unbeknownst to Carter, shadowy players are already caught up in this high-stakes and deadly poker game. Relying on his super-secret attaché training, Carter tries to stay alive in a frantic hunt for allies... and answers. Set in the spring of 1944, "Virginia's War" chronicles six months in the life of a small Texas town as its inhabitants struggle with everyday existence in the backdrop of WWII. Although war is raging a world away for Captain Will Hastings, life back home in Tierra, Texas goes on pretty much as usual with the exception of food rationings and other hardships brought on by the war. 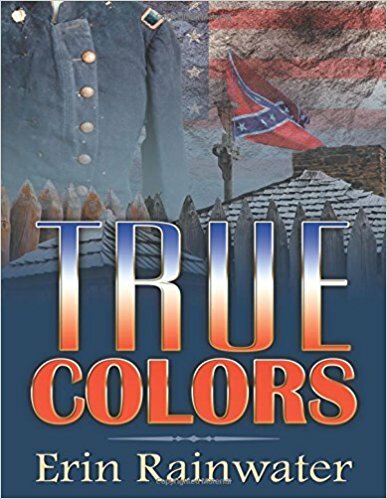 Unbeknownst to Captain Hastings, the entire community is under the impression that he and hometown beauty, Miss Virginia Sullivan, have recently tied the knot--a deception perpetrated by the father of the shockingly unwed and pregnant, Virginia. "Virginia's War is beautifully written and centers around the scandals, cover-ups, and politics of life in a small town where everybody knows everybody--or so they think. The front cover of "Virginia's War" has a lovely, nostalgic feel to it complete with an image of a winsome Virginia clasping handwritten letters from her soldier. I enjoyed having the visual of the heroine in my mind as I read her story. 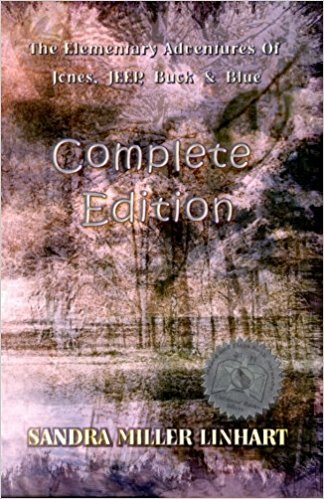 The author offers a unique perspective of Virginia's "adult" dilemma as viewed through the eyes of an endearing adolescent boy named Sandy Clayton. Mr. London captures the boy's infectious personality and unique viewpoint perfectly, giving the reader multiple chances to chuckle and reminisce about the innocence of childhood. Author Jack London sets a marvelous stage with which to draw the reader into his story, beginning with a taste of scandal in the prologue that divulges just enough conflict to whet the reader's appetite for more. He closes with an ending that leaves the reader satisfied but curious as to how the saga will unfold in the subsequent two volumes. "Virginia's War" is extremely well written, authentic to the time period, and very entertaining. French Letters: Virginia's War is a poignant novel that earned uncommon critical acclaim, being named a finalist for "Best Novel of the South," an award given by the Anderson Foundation in honor of Willie Morris and a finalist for the Military Writers Society of America award for Best Historical Novel of the Year. This first book of the French Letters trilogy is the tale of one woman's home front experience, set against the back drop of the story of a small town that has plenty going on behind the scenes. It was there one morning that an unexpectedly pregnant Virginia Sullivan read in her father's newspaper that she had supposedly eloped with a soldier. This is news to Virginia, not to mention her "husband" Will Hastings, who was already off at war and knows nothing of it. Sullivan is the daughter of a small town's leading figure, a newspaper owner who, because of his knowledge of everyone's personal business, runs the local black market in ration coupons and hard-to-get tires and gasoline, and sister of Bart, a draft dodger who runs the post office while keeping her mail from going or coming and preventing Will Hastings, the lead figure in French Letters: Engaged in War, from knowing that Virginia is pregnant or that her father has published a phony story. There may be a World War going on thousands of miles away, but there's plenty going on behind the scenes in Tierra, TX to keep Virginia preoccupied. We have heard so much related to the swift boat war in Vietnam from political groups which only served to alienate at least half of America. But for me, it turned out to be a much different experience when I picked up a copy of "Cat Lo: A Memoir of Invincible Youth". It was an honest pleasure to read from those who really were in that phase of the war. While I was busy flying overhead in my Huey, these brave young warriors navigated some of the most dangerous brown waters of the world! Author and shift boat veteran, Virg Erwin, captures the spirit and the flavor of those experiences as it has never before been done. 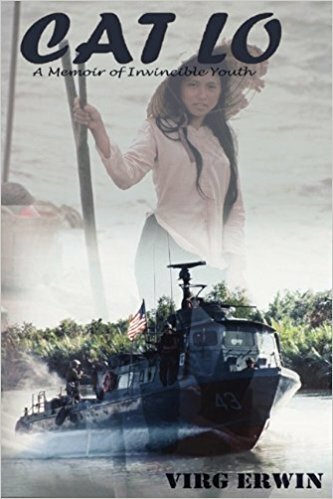 It is an exciting and emotional ride along the rivers and delta in search of the enemy who quite possibly lurked behind every bush or tree unseen. Having taken a small boat in 2002 up those same rivers when I went back to Vietnam, I could only image what went through their minds. Those narrow water passages were ever so close to shore - where an enemy could toss a grenade, or open fire with his automatic weapon seconds before you could react to it. Very scary stuff indeed! I got a real sense of what they went through there. What is interesting is how the author captures those feelings and emotions in his story telling. You really get to know the men and how they felt. It is a very well written accounting and feels as close to the real experience you can get without going off in those boats to some war. The book is gripping and entertaining and has some insightful passages and thoughts throughout the story telling. Written by an old sailor looking back and capturing his youthful experiences in war. Erwin is a talented writer and story teller. He is a man who has been there and done that and has lived to tell about it! I totally recommend his book. Cat Lo is a story of young men who volunteer for Swift Boats in Vietnam and about war's indelible lesson for those who survive: life is too precious to waste. Thirty-six years after Vietnam, Virg Erwin sits with a disfigured marine convalescing from Iraq and asks, "Do you want to talk about it?" It is a question no one has ever asked Erwin. "It was hard to know who were civilians--who were bad guys," the marine says as he describes being caught in a violent ambush. For Erwin, the marine's story resurrects memories of sailors patrolling narrow rivers and canals, their naive sense of invincibility shattered by Viet Cong patiently waiting in bunkers with rockets. Cat Lo is about conflict of compassion for the South Vietnamese who are caught in the middle of war without option of neutrality, and confusion by the question: Who is the enemy and who is not? The Lady Gangster is a quick and fascinating read. Del Staecker does an excellent job framing the story of his father's service aboard an armed transport ship during the Second World War. Officially named the USS Fuller, the ship is better known by her apt nickname, Lady Gangster, a name christened by her crew, made up almost entirely of fellow Chicagoans. In addition to being an accounting of his father's service, Lady Gangster is also a heartwarming story of a rapprochement between father and son. A long road trip and a broken radio result in hours of conversation and an outpouring of memories. For the first time, the young son listens to his father's vivid and detailed recounting of his harrowing experiences serving with the Navy in the Pacific Theater. Through his writing, Staecker transports the reader from inside that car where he listens intently to his father's story, to the various locations were his father served. Staecker intersperses his father's reminiscences with just the right amount of family background, comments, clarifications and explanations of wartime history to keep the reader up-to-speed with the historical setting and maritime terminology. 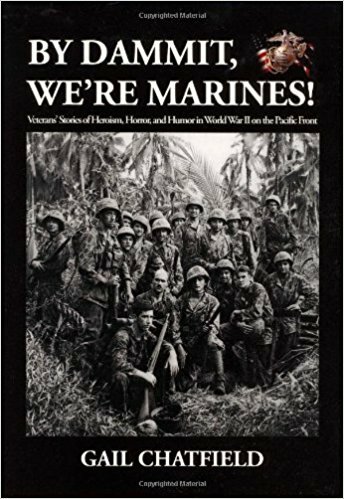 The book is well written and includes useful maps, which help orient the reader to the action and keep up with the unbelievably savage fighting and island-hopping through places with names like Guadalcanal, Tinian, "the Slot," Saipan, and Okinawa. The book also includes several photographs that help personalize the story and make the action that much more realistic. With dignity and grace, Staecker pays homage to both his father's unheralded service during the war and the equally unheralded service of a proud and effective ship, along with her officers and crew. Well done! The true story of WWII's most amazing ship and her unique crew of 327 reservists from Chicago. In a seamless blend of oral history, narrative, biography, autobiography, journal entries, ships logs, action reports, newspaper articles, illustrations, photos, and even two poems - the Lady Gangster's tale explains how the "Chicago Boys" transformed from raw naval recruits into veteran "Salts." From the North Atlantic through nine invasions in the Pacific the crew of the USS Fuller heroically earned for their Lady the title of "Queen of Attack Transports." This beautifully presented coffee-table photo album of America's military cemeteries is dedicated to "every man and woman who has, who is currently, and who will proudly wear the uniform of our great country. Without them, so many freedoms we take for granted would not be possible." Roaming across our beloved land in every season: The South, The Northeast, the Midwest and The West, SACRED GROUND respectfully escorts you into the serenity of the last resting places of our fellow citizens who gave their all in the duty of creating and defending our Union, within and beyond our borders. Accompanying these exquisite photographs are profound and simple essays by patriots and excerpts from presidential addresses. This is a tome to be treasured for as you turn the pages of brilliant scene after brilliant scene of calm and color, you will read the thoughts and thanks of such citizens as Thomas Paine, Andrew Jackson, Mickey Rooney, Oliver Wendell Holmes, Jr., Abraham Lincoln, Oliver North, Dwight D. Eisenhower, Ann Margret, Ronald Reagan, Bob Hope and Sean Hannity on sacrifice, honor and courage. Along the way you will also learn the history of that most poignant of bugle calls, Taps, the words to the familiar prayers of each branch of Service and to the Battle Hymn of the Republic. I thought to tell of my favorite photos such as the Vietnam Veteran kneeling in the grass in Jefferson Barracks National Cemetery, St. Louis, Missouri; or the Christmas wreathes and red bows set in snow-covered Togus National Cemetery, Maine; or the fawn nestled beside a tombstone in the Bath National Cemetery, New York; or the leis and flags in the National Memorial Cemetery of the Pacific, Honolulu, Hawaii, or... until it dawned on me that every page becomes a favorite. Sacred Ground is worthy of a special place in your library, to be lingered over when we remember those who fought and died so we might continue to live in freedom: our Fallen Heroes and our Veterans. Consider it also as a gift for the grieving families you know, for in its broad scope of our history and these sacred places in our Nation, it will surely bring some measure of dignity, peace and comfort. All royalties from the sale of this book are donated to the Freedom Alliance Scholarship Fund, for the children of fallen soldiers. Sacred Ground" is a sweeping tour of some of America's most beautiful and moving cemeteries, Sacred Ground features richly evocative photographs from military cemeteries across the country, enhanced by poignant quotes, powerful essays, and speeches from famous Americans throughout history.